Comments: The condition of this rarity is almost too good to believe. There are, quite simply, no sonic defects; and only some extremely light and small visual defects. The surface is smooth and bright with no rubs or marks. There is no rough start or groove wear - the record probably has been played only a few times. Labels are bright and clean with no stickers, writing or edge flaking. The only visual defect is around the spindle hole - there are a few spindle trails. All things considered, I doubt if a better copy exists. And while you're at it, check out my listing for Sunshine 3001 by Roberta Dudley in equally find condition. It closes on January 30th. I've owned this record for 30 years, and am somewhat reluctant to part with it. But having gotten married this past year, I want to give my new wife a memorable honeymoon, and the proceeds from this record will go toward that cause. NEW! Be sure to visit our newly expanded Books and Periodicals section where you'll find a wide selection of classical and jazz books to add to your music library. Want to see more records like this one? There may be more on our current eBay auction listings or in our eBay store. Be sure to browse all of our other listings to see what you can find. And while you're at it, be sure to add us to your Favorites list. Thanks! Would you like a preview of the records we'll be listing on eBay in the next few weeks? If so, you'll find a copy of our current eBay catalog on the heading of our eBay store. Just right click on the small images, and then you can enlarge, print or save them. Or send us a request thru eBay, and we'll send you the catalog in PDF format. The catalog contains a list of upcoming records in all categories and the dates they will be listed. Look it over - you just might find something you like! It's time to start selling my personal collection of 5000+ records. I'll be listing all types of premium cylinders and discs containing historic, popular and classical selections. Look for concert and opera cylinders, Berliners and other early discs, political and spoken word recordings, rare jazz and blues, unique Edison material, vintage classical vocals selections, rare and unusual labels, colorful picture discs, limited edition records, personality and vaudeville artists, classical pianists and instrumentalists, scarce overseas issues, and much, much more. I've spent over half a century accumulating this collection, and I want to see the records go to good homes. So again, be sure to add this site to your Favorites list and check back often. Thanks for looking! We have been selling records, sheet music, phonographs and accessories by mail for over 25 years. You are invited to visit our "About Me" page on eBay to learn more about our business. 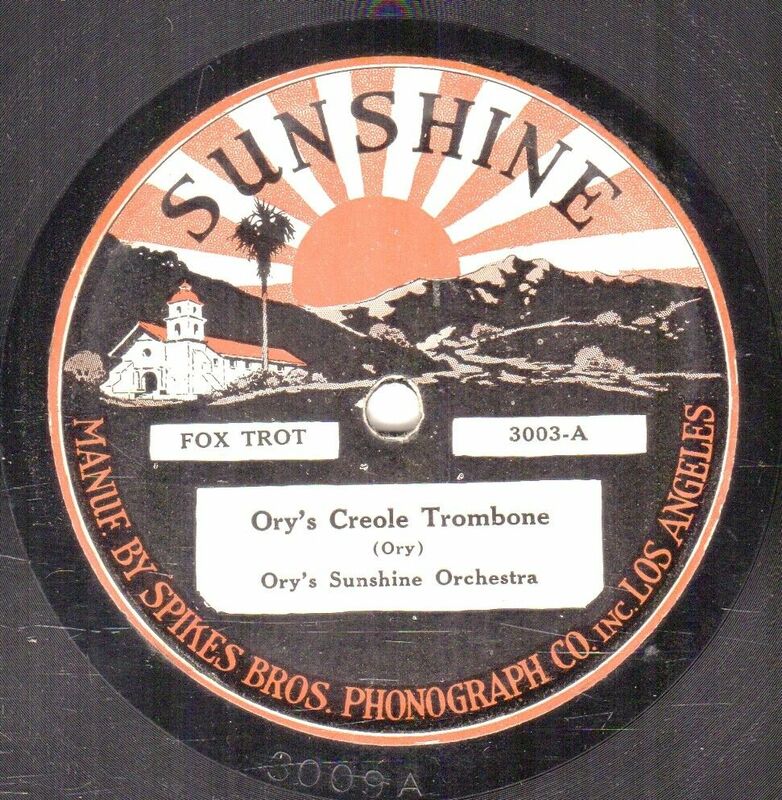 For our eBay listings, we offer vintage 78 rpm and cylinder records; acoustic phonograph parts and accessories; related paper items, including sheet music and piano rolls; and occasional non-musical items of interest. We know how to pack and ship for secure delivery, as we have safely sent thousands of parcels worldwide. All parcels are fully insured. Satisfaction is guaranteed on all items or the purchase price will be cheerfully refunded. We provide fast and friendly service, so let us know if you have any questions about any of our listings. Please read our payment, shipping and return policies below before bidding. Holding Winnings: We are happy to hold your purchase and combine it with shipment of any future items you may purchase within a two week period. We will send you an updated invoice after each purchase that will include combined shipping costs. We request full payment for all items plus shipping within two weeks of the date of your first invoice. If you need to extend payment or shipping beyond this two week period, please contact us to make arrangements. California Residents: You will be charged sales tax unless you provide us with a valid resale number under your own name. International Buyers: Import duties and taxes are not included in the item price or shipping charge. These costs are the buyer's responsibility. Contact your country's customs office to determine these additional costs prior to bidding. We do not declare merchandise below value or mark items as "gifts." USA and International postal regulations specifically prohibit this practice. Thanks again for checking this listing. We hope you found something you like!